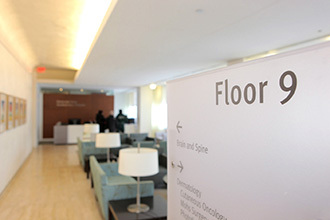 The Department of Neurological Surgery at Weill Cornell Medicine, also known as the Weill Cornell Medicine Brain and Spine Center, provides specialized neurosurgical care to patients with injury to or diseases of the brain, spine, and peripheral nerves, including head and spinal trauma, cerebrovascular disorders, brain and spinal tumors, pediatric diseases, movement disorders, and epilepsy. We provide a complete continuum of care, from pre-treatment evaluation through a wide range of treatment options (many of them nonsurgical or requiring only minimally invasive procedures) to post-treatment care. Michael S. Virk, M.D., Ph.D.
Talking about Jared Knopman, M.D. "Has a warm yet confident demeanor. Straight to the point but very innovative. Looking foward to letting him operate on my brain." Talking about Eric Elowitz, M.D. "Dr. Elowitz kindly agreed to take on my case post surgery by a neurosurgeon he trained. I was operated on in Ct. where the accident occurred but needed post-op care in NY where we live during the week. I found him very clear and attentive. When needed a prescription refilled it happened an hour after I phoned. He went over the file carefully and I will see him again in a month." Talking about Michael S. Virk, M.D., Ph.D.
"Dr. Virk was awesome. He explains in detail what your condition is, your options for treatment, the procedures to be performed and post op care. I found him to be most courteous, caring, and very personable. I would definitely recommend him for anyone who needs a doctor in his field of work. And I’m looking forward to him making me well again."